This is the second part of a post on truth drugs, the first part is here. 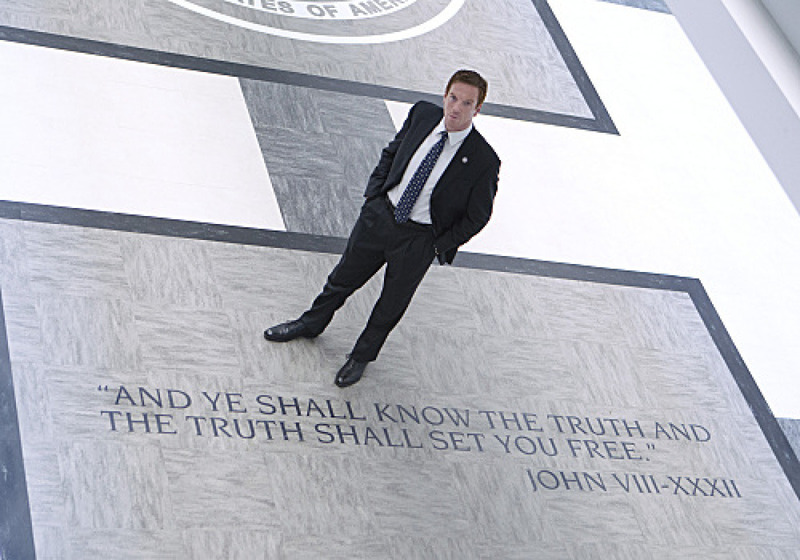 Inscribed in the stone of the original CIA building was the motto, a line taken from the Gospel according to St. John, “And ye shall know the truth and the truth shall make you free.” Of course, one of the major responsibilities of the Central Intelligence Agency is the collection and collation of intelligence materials in order to discern the truth of other governments’ plans and operations. In the era of fears about soviet espionage the intensity of this demand was perhaps as great as it is today in the context of terrorism. The Agency was under immense pressure to pre-empt the actions of soviet powers and one important mechanism in their pursuit of this goal was the extraction of information during interrogation of suspected spies and sympathizers. Interrogations, however, were a difficult business, particularly as operatives were often trained in resistance techniques. The CIA thus reached out to science in order to improve their interrogation results. Though far from being the beginning of the role of psychology in military and security services this period was hugely influential in shaping the relation. In 1953, the CIA collated their psychological research into a programme they codenamed ‘MKUltra’. The director of the programme was a chemist named Dr Sidney Gottlieb, who believed the Agency had to understand the ‘mind-washing’ strategies they felt their enemies were undoubtedly developing. Moreover, this fear made it vital that the US developed their own science in this area. Gottlieb thus became known as the ‘Black Sorcerer’ for his involvement with a number of projects concerned with controlling behaviour by use of drugs and a range of other techniques. His colleagues and collaborators involved, most notably, the notorious CIA officials General William Donovan, Colonel George H. White and Dr Stanley Lovell. Perhaps the most terrifying of their many psychological brutalities was the work conducted into ‘sleeper agents’, who they wanted to program to undertake covert actions, most obviously assassinations, without ever having known they wished to do so. No less violent and degrading, however, a significant strand of research in the programme was to discover drugs that would influence behaviour in such a way as to improve interrogations. In short, one of MKUltra’s main goals was to find drugs that would compel suspects to tell the truth. As I described in a previous post, there was a ready-to-hand possible candidate in the form of scopolamine, a nightshade-derived drug. In the 1920s Dr Robert House had discovered that giving the drug to women during childbirth caused them to talk uninhibitedly about their feelings and thoughts, which led him to believe that scopolamine might help in criminal interrogations. Though his efforts to develop the truth drug into a policing tool largely failed, the CIA picked up his research thirty years later and began investigations for other such compounds. Ergot fungus (growing on rye) is the source of LSD. Among the drugs that the CIA tested were psychedelics, one of the most prominent compounds being lysergic acid diethylamide, or LSD. General Donovan believed that finding a ‘speech-inducing’ drug was vital to the security of the US and that this warranted any effort in its discovery. Chief amongst the many controversial actions undertaken with these substances was their use on unsuspecting US citizens, primarily men and women who were most vulnerable and on the fringes of society. The test subjects included unwitting prostitutes, homeless people and patients in psychiatric hospitals. George White created ‘safe houses’ in Greenwich village and San Francisco, from where he tested the drugs on these victims. White also set-up a study on sexual behaviour and prostitution to understand how these might be used to extract information. Using funding from MKUltra, a number of psychologists and psychiatrists working around the US in universities and private institutions were supported to conduct research on the effects of LSD and how it could be used to control behaviour. For example, between 1955 and 1958 over 1000 American ‘volunteers’ participated in a series of tests at the Army Chemical Warfare Laboratories in Edgeware, Maryland. In one case, 95 military personnel were given LSD in a fake drinks reception without their knowledge and then subjected to interrogation, polygraph examinations and put into isolation chambers to explore how their traditional security training stood up in the face of these ‘drug-enhanced’ interrogations. 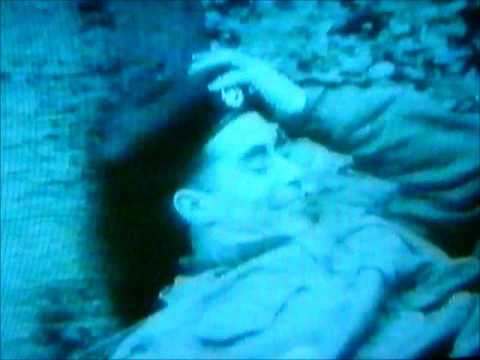 A soldier on LSD during the Porton Down woodland operation. A number of experiments in LSD thus involved subjects being given these drugs without their consent and, as a result, it produced a situation in which people died and others suffered severe psychological trauma without any explanation. It wasn’t only in America that these kinds of covert, illegal experiments were being conducted. In the UK, scientists working for the MI6 science park ‘Porton Down’ gave military personnel LSD without consent and observed their interactions and attempts to conduct a staged operation in a woodland. Three of these men later sued the government and were awarded compensation in an out-of-court settlement in 2006. Perhaps the most widely reported tragedy was the death of Dr Frank Olsen, a civilian employee of the US army, who specialised in ‘aerobiology’. He was invited to a cabin in the countryside for a semi-annual review along with several other scientists. At the cabin, Gottlieb and Robert Lashbrook gave the group each a drink from a bottle that contained 70 micrograms of LSD mixed with Cointreau. In the days after the ‘experiment’ Olsen went on to develop severe depression and Gottlieb and Lashbrook arranged for him to be treated by one of the CIA cleared LSD researchers in Washington. During the treatment, however, Olsen threw himself out of a hotel window on the 10th floor and died from the fall. The rhetoric that has often been adopted in the development of lie detection devices and truth drugs is that they represent a more humane way of getting to the truth when compared to physical torture. Indeed, in a documentary on the work conducted as part of MKUltra, one scientist involved argues that if there is going to be war, it is better that it is done using the least barbaric means possible. Robert House thought scopolamine might alleviate the practices of brutality used in police interrogations, as did the developers of the polygraph. The creation of fMRI lie detection has similarly been occasioned by claims that scanning the brains of suspects is far better than the practices used in torture camps like Guantanamo Bay. What this line of argument implies is that science can free us from the darker side of the pursuit of truth, shining the enlightenment into the cells of prisons, and throwing open the window of interrogation chambers. But the history of truth drugs cautions us to examine this thinking and to be mindful that not all scientists act in humane ways and that not all science ostensibly done in the service of peace and security is without consequence. It is difficult to know if the intelligence services are using contemporary developments in neuroscience to explore modern methods of information extraction. But if there are a couple of things we can learn from the history of lie detection they are that we seem unable to stop ourselves from pursuing the creation of these devices and that the desire for the truth can sometimes be a dark one, conducted in the murky and shadowy parts of scientific and military culture.